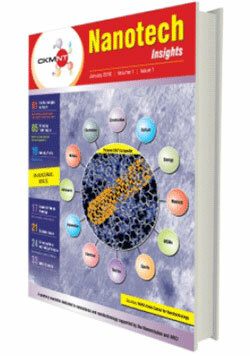 The inaugural issue of Nanotech Insights, a quarterly newsletter dedicated to the field of nanoscience and nanotechnology, is now available online on the CKMNT website. Groundbreaking curriculum to offer unparalleled education and training to support nanotechnology career opportunities and development of New York's high-tech workforce. In the Max Planck Institute for NanoBiophotonics in Goettingen, Stefan Hell has developed fluorescence microscopy methods for observing objects on the nanoscale and with his colleagues Vladimir Belov and Christian Eggeling a new series of photostable dyes that can be used as fluorescent markers has been realised. 'Loading-unloading' effect of grain boundaries key to repair of irradiated metal. Photonics is a highly multidisciplinary field with diverse ramifications, one of which is nanobiophotonics, a subfield focusing on developing tools for advancement in nanoscience. Wird ein winziger Sensor mit magnetischen Kraftfeldern bald die medizinische Diagnostik revolutionieren? Die Methode, mit Hilfe der Nanotechnologie Biomolekuele ueber magnetische Transporter zu einem Sensor zu transportieren, haben sich die Forscher schon patentieren lassen. The Sri Lanka Institute of Nanotechnology Pvt. Ltd (SLINTEC) recently announced the launch of a highly informative website - the first Sri Lankan nano-based information portal. Scientists presented a design strategy to produce the long-sought artificial leaf, which could harness Mother Nature's ability to produce energy from sunlight and water in the process called photosynthesis. 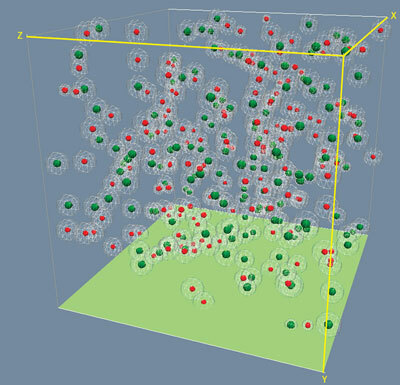 Introducing additional complexity to a simulation gives researchers better insight into how cellular signaling networks might operate. The University of Pennsylvania's School of Engineering has developed a new Master of Science Degree program in Nanotechnology. The program has options for Nano Enabling Energy, Nano Enabling Medicine, Nanoelectronics and more. Virginia Lorenz, who recently joined the University of Delaware faculty as an assistant professor of physics and astronomy, is working on one of the hottest areas in physics - quantum memories. These devices store information in a flash of light and may serve as the basis of future communications networks. A team of researchers and clinicians from UCLA's Jonsson Comprehensive Cancer Center and the California Institute of Technology has published the first proof that a targeted nanoparticle - used as an experimental therapeutic and injected directly into a patient's bloodstream - can navigate into tumors, deliver double-stranded small interfering RNAs (siRNAs) and turn off an important cancer gene. 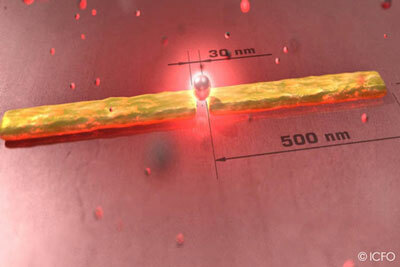 University of Maryland researchers have created a completely new way to produce high quality semiconductor materials critical for advanced microelectronics and nanotechnology. The Federal government's ten-year-old program for nurturing and coordinating the young science of nanotechnology has been highly successful and has helped to make the United States the world's leader in this increasingly valuable manufacturing sector, concludes an independent report prepared for the President and Congress. But that leadership position is threatened by several aggressively investing competitors such as China, South Korea, and the European Union, according to the report. Scientists are advancing the state-of-the-art in live cell fluorescent imaging by developing a new class of fluorescent probes that span the spectrum - from violet to the near-infrared. The new technology, called fluoromodules, can be used to monitor biological activities of individual proteins in living cells in real time.